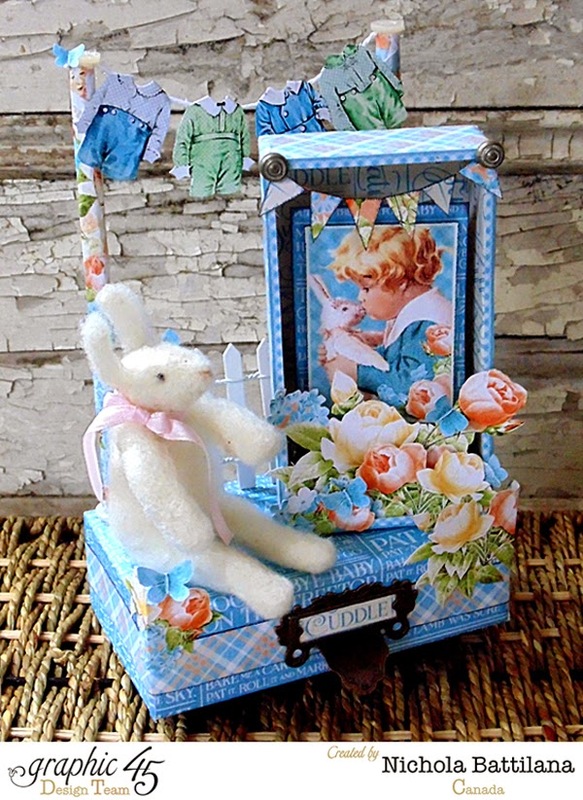 Browsing the pages of the Precious Memories collection for inspiration, I sort of fell in love with image of the little boy and his rabbit. The fellow with the curls nuzzling his stuffed bunny reminded me of my son when he was toddling around with 'Mr. Elephant' (don’t tell him I told you that!) I still have that little elephant. It’s tucked somewhere, not completely away, so that I stumble across it once in a while, causing memories to flood back. 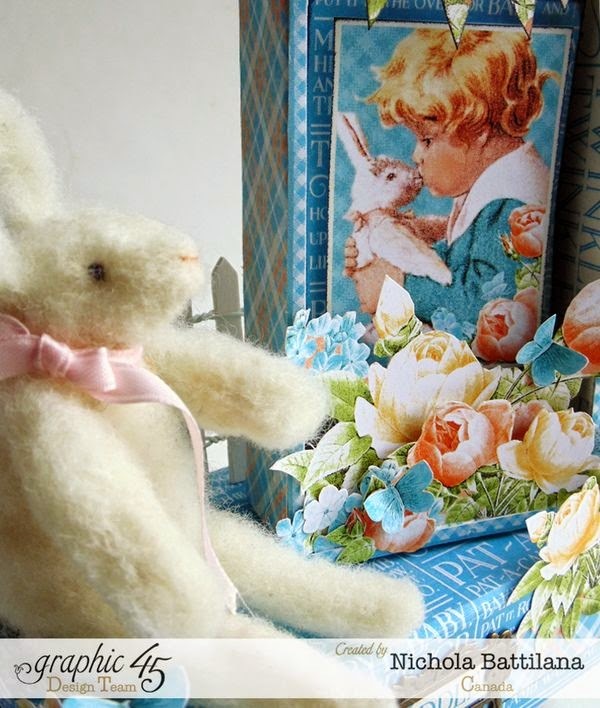 For this piece I created a little needle felted bunny, just like the one in the image, to create a sense that that moment had actually existed. Don’t be frightened off by that little woolen bunny! 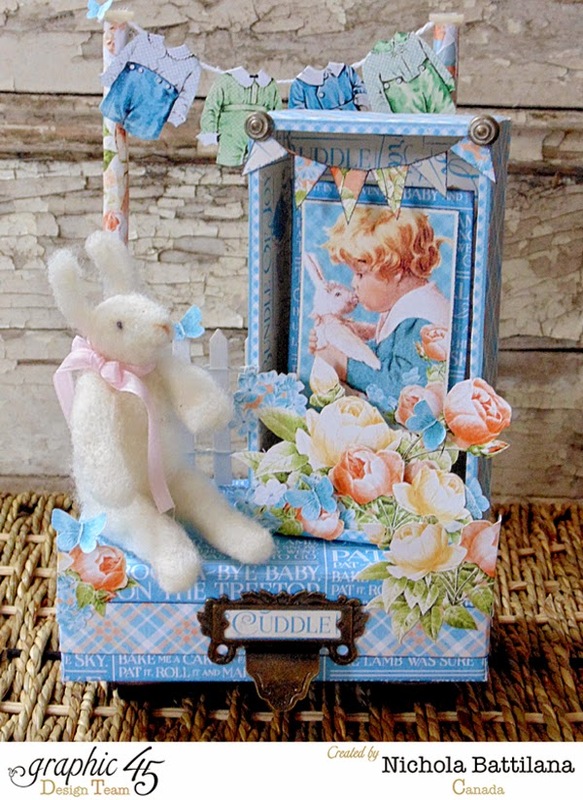 This little sentimental vignette would be even sweeter created with a real photograph and small childhood memento.